Gobble! 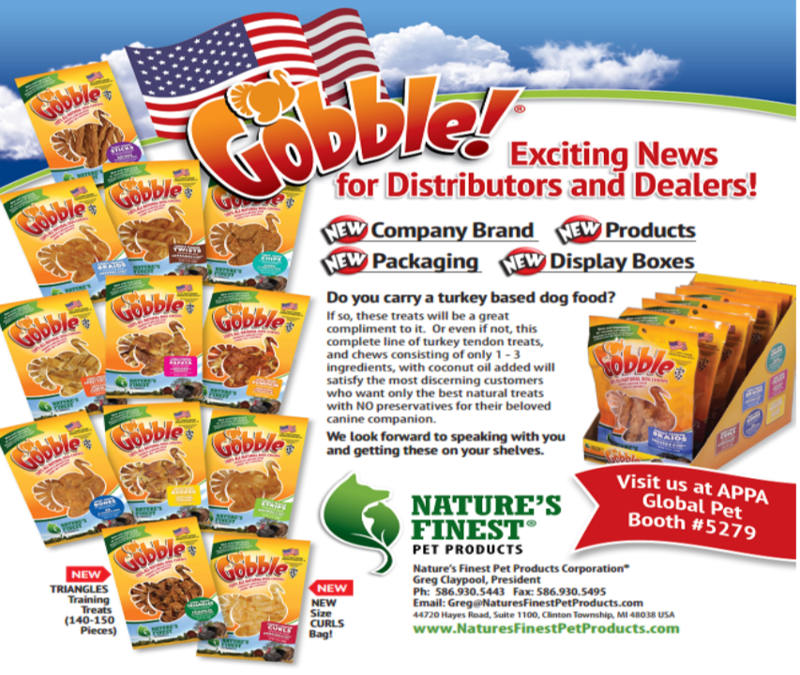 Turkey Treats and Turkey Wraps for dogs, is moving to the new brand Nature’s Finest Pet Products. An updated product details sheet has been emailed to Northland Retailers. Item codes and most UPC have remained unchanged. Nature’s Finest Turkey items will ship to stores as we sell through the Free Raised packaged products. Turkey Pinwheels and the Turkey Trial Pack will be discontinued. 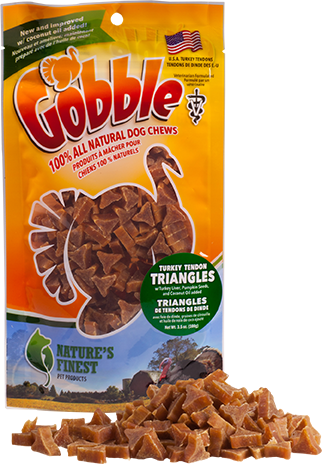 Turkey Triangles are a new item and are now in-stock at Northland Natural Pet and available for ordering. 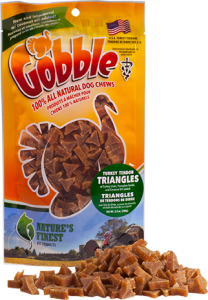 Find Nature’s Finest Pet Products & Gobble! at your favorite Northland Retailer. We are happy to assist in choosing products for your pet, please contact us for personal assistance. Be sure to stay connected to us & sign up to receive our email news and promotions! Facebook .